The Ultimate Dot Com Lifestyle (which is sometimes also referred to as The UDC System) is an opportunity that’s been launched by a guy named John Chow. It promises to be the answer to providing you with time freedom, money freedom and location freedom – but is it really all it’s cracked up to be? In this review I’m going to taking a deeper look into the Ultimate Dot Com Lifestyle system to find out exactly what it’s all about & I’ll be determining whether or not it’s actually a genuine opportunity that should you get involved with. So if you’ve came across the Ultimate Dot Com Lifestyle system & you’re looking to find out if you can actually make any money with it then rest assured you’re in the right place because I’m going to be revealing absolutely everything there is to know about it right here in this blog post. Firstly, Who Is John Chow? Since it’s clear that John Chow is the main man behind the Ultimate Dot Com Lifestyle program I figured that it would be best to give you a bit of background on him before I go ahead & talk more about the actual UDC system itself. 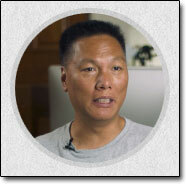 So, for those who don’t know, John Chow is very successful blogger who writes about making money online. He first started his blog way back in 2005 & since then he’s gone on to make multiple millions of dollars, most of which he has earned through promoting a company named MOBE (more on that shortly). I personally follow John Chow & have done for years – he’s undeniably a very knowledgeable man & in my opinion he has solid integrity. Basically when it comes to making money online he tells it like it is & generally gives out good, actionable advice. These days though whilst John Chow still regularly updates his blog he seems to put more of a focus on publishing YouTube videos & he’s created his own video series named “Driving With John Chow”. Now that his blog’s gained massive traction many of the posts are actually being written by guest bloggers as opposed to John himself & so whilst I don’t really follow his actual blog as much as I used to, I do definitely enjoy watching his YouTube clips. Basically, John himself is a good guy and he’s even been featured in several media publications too such as Entrepreneur Magazine, The New York Times & The Vancouver Sun to name just a few. So, What Is The Ultimate Dot Com Lifestyle System About? Remember above when I said that John has made most of his income through a company named MOBE? Well The Ultimate Dot Com Lifestyle system is actually just a sales funnel that’s designed to get you to buy into the MOBE opportunity. In other words it’s basically a “front door” for MOBE, which I imagine has been put together in an attempt to give MOBE a new lease of life since it’s been around for quite a while now & the original sales pages are probably starting to lose their effectiveness. Now, In theory there is nothing really wrong with this… It just gives John a way to personalise his sales funnel & as a result increase his signups into MOBE. However, what I don’t like is the way that the opportunity is being portrayed through the UDC System. Albeit very expensive, MOBE is a genuine opportunity & you can make money from it… But it’s not easy, and it’s certainly no where near as easy as the UDC system makes out. In fact the truth is that most people who join MOBE fail. On the Ultimate Dot Com Lifestyle website you can see a link to the earnings disclosure below the video (which I applaud John for including). If you follow that link you’ll be taken to a page which gives you more information on the opportunity, and on this page you’ll be informed that “The average Consultant, which includes both active and inactive, generates less than $250 per year”. 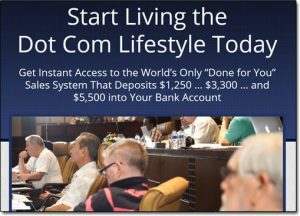 Now does this mean that MOBE or the Ultimate Dot Com Lifestyle system is a scam? No, it doesn’t… However, what it does mean is that things clearly aren’t quite as “push-button” easy as they’re made out to be & that’s the big problem. MOBE is without a doubt a genuine opportunity and you can definitely make money by promoting it, but it’s not going to happen overnight for you unless you’re already an experienced online marketer. If you’re not, then you’re going to have to go through a learning process & appreciate the fact that you can make money but it’s going to take some time. It’s easy to blame the people for being lazy, but sometimes it’s not really all their fault. It’s often the fault of the marketing materials & sales methods that are making them feel like the opportunities are much easier than they actually are. They’re basically being misled. And whilst I appreciate John and his work, I feel like The Ultimate Dot Com lifestyle sales funnel is misselling the MOBE opportunity. Right from the moment you land on the page you’re fed bold claims like “Start Living the Dot Com Lifestyle Today” and “Done for You”Sales System That Deposits $1,250 … $3,300 … and $5,500 into Your Bank Account”. This makes it seem like you can just sign up and almost instantly start receiving commissions straight into your bank account without actually doing anything, which in my opinion is a bit of a cheeky tactic. As far as sales funnels go, this one is quite the trickster. All the way through you’re led to believe that you’re signing up to John Chow’s own system but after paying the $49 fee you’ll find out on the other side that you’ve signed up to something completely different. You’re also led to believe that after paying the $49 fee you’ll be interviewed by a coach who will choose to accept or reject your application and that if they reject it they’ll refund your fee. This isn’t quite true as whilst you can get a refund you’ll only get one if you specifically ask for it. The coach isn’t there to accept or reject your application at all, it’s quite clear that their sole job is simply to get you hyped up & excited about the program. From here onward you’ll also have to keep contacting your coach again & again as you progress through the steps. If you choose not to contact them then the steps will remain locked & you won’t be able to get through the training, which is pretty frustrating if you’re like me & prefer to be left to your own devices. On the flip-side though I’m sure there are several people looking into this opportunity who would prefer to have somebody on hand to help, but I personally would just rather it be optional than forced. The MOBE opportunity has an MLM compensation plan in place which means you earn money by referring people and then you earn money when they refer people too. It’s basically all about selling the opportunity onto new people & that’s basically what you’re taught how to do throughout the 21 training steps. I’ll admit that there are some good quality training modules in there, but the problem is that the majority of them lean towards teaching you how you can promote the MOBE opportunity itself. I also believe that the modules have been priced with commissions in mind as opposed to being priced based on their level of value. For me it was the hidden costs involved with the UDC system which I found to be one of the biggest problems & that was what actually made me feel the need to put this review together. On the Ultimate Dot Com Lifestyle you’re told that the small fee of $49 will get you access to everything which unfortunately is a huge lie. I was quite disappointed when I seen this because I expected John to be more transparent. What you’ll come to realise if you decide to become a member of the MOBE system is that there’s a lot more costs involved than a mere $49, and you’ll also come to realise that your coach is actually a salesperson who’s there to upsell you into the higher levels. For a start if you want to actually be able to make any money at all from the MOBE system you’ll have to pay a recurring fee of $19.95 per month which was mentioned absolutely nowhere on the sales page on the UDC system. If you happen to cancel that membership at any time then you will no longer be eligible to earn from the program. But that $19.95 is just the tip of the iceberg because in order to sell any of the MOBE products & earn commissions on them you’ll have to actually buy them yourself first (even if you don’t want them)… And those products sure don’t come cheap! So that small $49 fee that “covers everything” has quickly turned into $29,997 + $299/month + $19.95/month + $49! And if you happen to sell a product that you don’t personally own, you’ll get nothing at all for that sale. So let’s say you bought in at the Platinum level & paid the $16,667 fee, if you make a Diamond sale you’ll earn commissions for the products up to Platinum level but you’ll earn ZERO on the Diamond level itself. 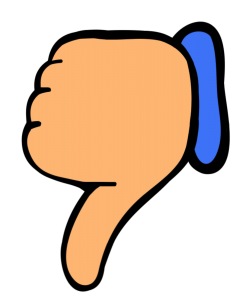 Do I Recommend The Ultimate Dot Com Lifestyle (MOBE)? If you’re a newbie then I absolutely do not recommend this program to you as you’ll be pushing into paying high fees & you’ll no doubt struggle to see a return on investment. 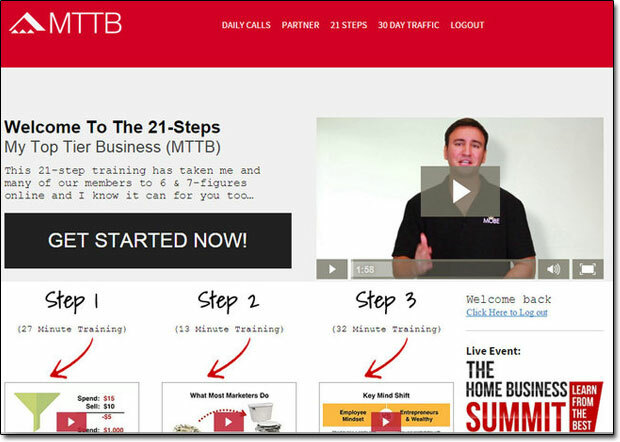 There is LOT’s of training available online for free & there should be no reason for you to have to pay a fee of $29,997 to learn how to make money online. It’s clear to me that the only real reason people are paying those high fees is to be able to resell the product & earn commissions on them. If however you’re an avid marketer & you fancy your chances at selling (what is in my opinion) overpriced training then it could be worth a shot. I feel though that even for the avid marketer this system is quite the gamble, I mean spending an initial fee of $29,997 and then an additional $299 every month will quickly see your bank balance depleting so you’d have to have a lot of confidence in your marketing & selling skills to be able to make this work. The bottom line is that I firmly believe you should try something else. The Ultimate Dot Com Lifestyle / MOBE system is an undeniably expensive opportunity and unless you’ve got money to burn (and know a lot of other people with money to burn) I really don’t feel like it’s something you should get yourself involved in. INFINii Review – Will It Really See You Cashing In Big Time Through eCommerce Sales?